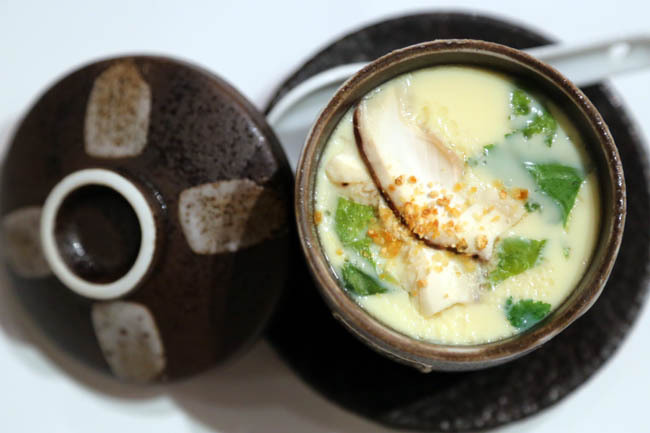 The vibes of Sushi Goshin at Suntec City felt more upmarket than the other casual Japanese restaurants in Singapore. 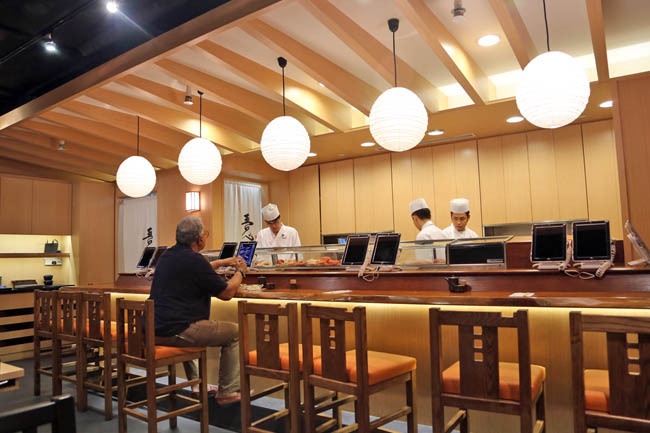 There is a sushi bar with counter seats at the end of the restaurant, waitresses were dressed in kimono-like uniforms, and ordering system was via an iPad. I happen to like the very woody-décor. 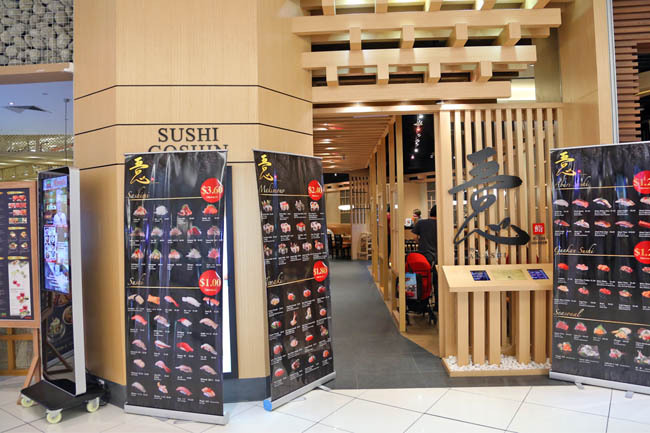 Sushi prices start with $1.00 per piece, such as the basic Tamago Sushi, while the makimono and sashimi $2.40 and $3.60 onwards respectively. So I would say their price range of the sushi is somewhere-in-the-middle. 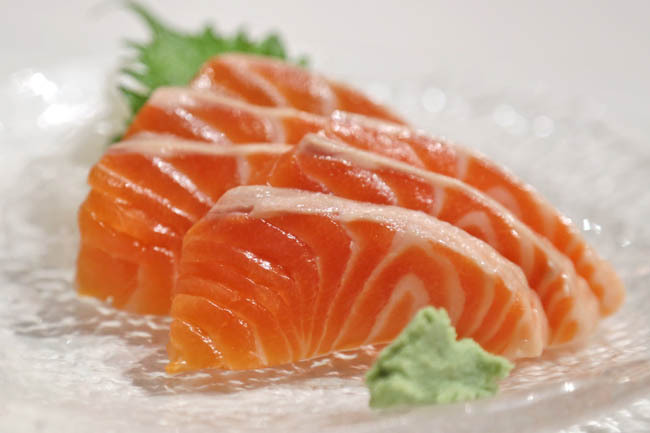 Usually I do not expect much from casual Japanese restaurants, or more correctly said, am prepared to accept a lower standard (some ‘Japanese’ restaurants in Singapore… really…), but I am pleasantly surprised with both the freshness and quality of the sushi and sashimi. 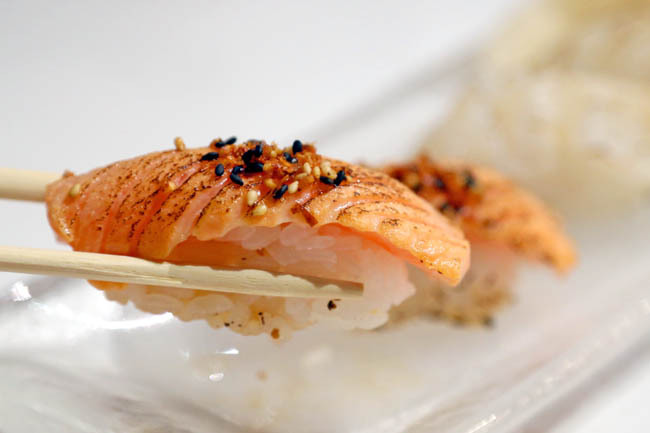 Some of Sushi Goshin’s ingredients are said to be bought by their staff in Japan from Tsukiji market and air-flown to Singapore daily. The prices of the set menu and ala-carte of Sushi Goshin were somewhat on the higher side though, but at least the presentation, service and taste were above average. 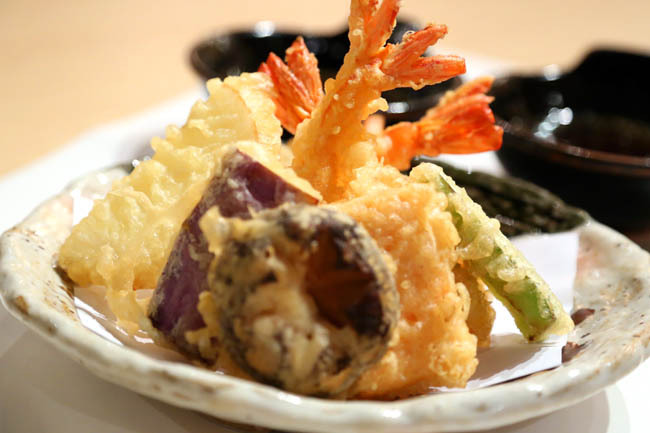 The Tempura Moriawase ($18.00) was crisp and tasty. Could be hotter though. 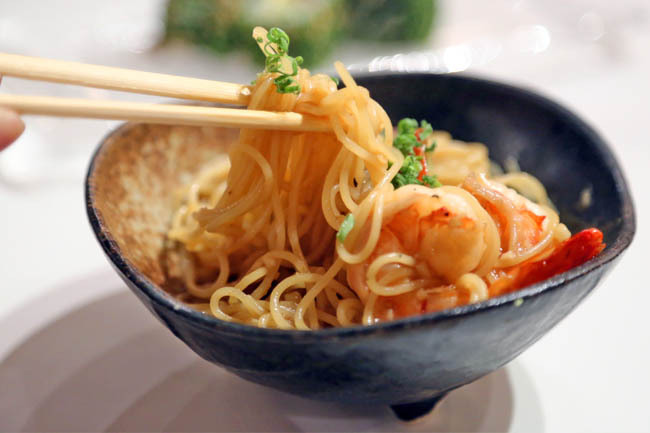 My favourite appetizer dishes were the Goshin Yaki Ramen ($6.00) and Chawanmushi ($6.00). The former had a portion suitable for a child in kindergarten, but the Q-ness and bite, along with its sauce made it a refreshingly satisfying starter. There is quite a variety of over 100 dishes (though having to share and flip the menu on the iPad may get on the nerves of some). With such an extensive menu, there will inevitably be some dishes which may not be on par, but overall a good meal. 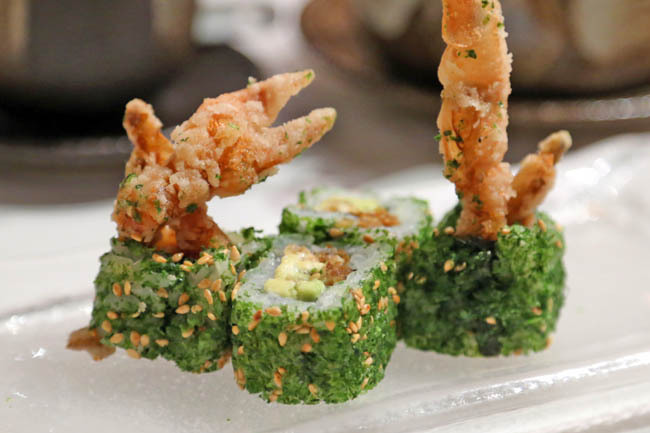 Sushi Goshin by Akashi may turn out to be one of my favourite mid-priced Japanese restaurants. I think this is one of the better restaurants at this part of Suntec!